Trust is the No. 1 reason employers choose retirement plan providers for their employees, according to a landmark study of 809 companies across a full spectrum of industries in 2014. You’re not surprised are you? But for the first time we learn which are the top three providers that companies trust the most, and that only 9 percent of employers trust financial institutions to manage their employees’ retirement plans. The study, “Plan Sponsor Trust and Confidence Study,” was conducted by the National Association of Retirement Plan Participants (NARPP) with Stanford University. The research also lists the five factors that erode trust between employers and the retirement plan providers. “We know that employers are relying on financial institutions as partners in helping secure a financially stable future for their employees,” says NARPP Founder Laurie Rowley. “For the first time this study provides plan sponsors with sound data and metrics on trust, confidence and accountability among leading retirement plan provider and these measures are critical when evaluating plan providers to partner with,” she adds. The study reveals a great deal of pessimism in about the trustworthiness of financial institutions in general, according to an NARPP press release. Only one out of 11 employers, or 9 percent, indicate they can “always trust financial institutions to do the right thing for plan sponsors and participants,” says Ms. Rowley. Sixty-five percent of plan sponsors say they can always trust their providers. The study of employers included companies with plan assets ranging from $5 million to $250 million. NARPP, narpp.org, is a San Francisco-based 501c3 nonprofit organization. The nonprofit says its mission is to provide transparent financial information for the 145 million working Americans saving for retirement. Banks Have Credibility Issue with Affluent Women, Study — More than half of wealthy women are frustrated with their banks, according to a study. Here’s why and what can be done about it. How Credit Unions, Small Banks Can Compete with Big Banks — Eight strategies for the underdog financial institutions. Moreover, big banks have a major trust gap with the average consumer, according to a study, which has created a marketing opportunity for credit unions and small banks. Years later, 78 percent of Americans still blame the big banks for the financial crisis way back in the Great Recession. Major Banks Are Too Big to Fail, But Not to Break Them Up — The time has come to break up the big banks. There are 5,000+ banks in the U.S. However, just a dozen of them dominate with 69 percent of the assets in the banking sector. America grew strong as the result of a free-market system. The world’s most popular search engine has released detailed information on how it evaluates and ranks Web sites. Released in November 2011, the information is still critical for domain success. Ordinarily, for proprietary reasons, Google is a bit guarded when discussing its algorithm processes. But a blog post by engineer Matt Cutts was unusually informative. It’s fair to say Google has been forthcoming about its search ranking methodology, such as reported previously on this portal in Google insights – 23 key questions about your Web site and Google’s continuing quest to increase page speeds. Research companies routinely peg the search engine’s market share at 66 percent or more in the U.S., and higher around the world. One wonders whether the new transparency is the result of the FTC probe of Google. My sense is that the FTC Probe isn’t warranted in Google’s business practices. Google’s dominance has actually improved user experiences on other search engines. It forced Bing, for example, to make enlightened innovations. 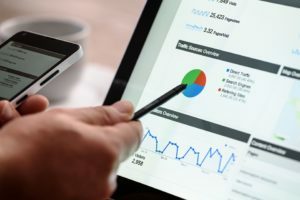 10 Tips to Optimize Your Web Site for Higher Sales — If you haven’t optimized your Web site for sales, you might want to reconsider. There are more and more indications that online shopping will continue to grow. In an article entitled, “Cyber Monday Prep: 10 Tips for Greater Sales,” Website Magazine offered some excellent strategies. Best Practices to Manage Your Global Brand, Your Web Reputation — As you no doubt know, the digital age has brought new challenges and opportunities. Best practices are critical in order to maximize your Web presence and to manage your online reputation. The key to Internet dominance is to think integration – naturally, the first steps include a quality Web site and synching it with your social media, business listings, inbound links and other elements.